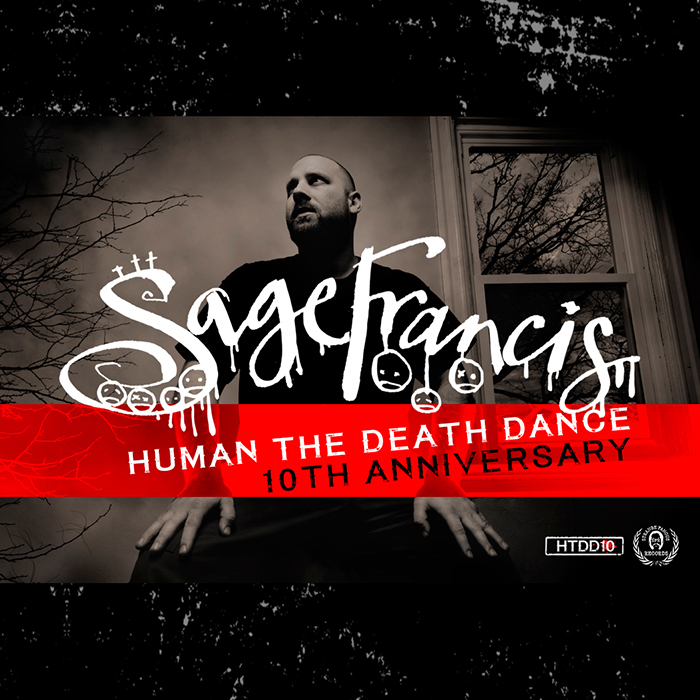 Celebrate the 10th anniversary of Sage Francis‘ “Human The Death Dance” album with a brand new collection of ‘YCKMMF’ gear! Plus, sale prices on all HTDD items in stock at SFRstore! CLICK here TO SEE ALL AVAILABLE MERCH. Many thanks to SonOfKarl for the remix and to Metatektur.org (PRIMA) for the photo/artwork. The creative seeds for HTTD, as well the landmines, were planted as early as 2005 during the release show for “A Healthy Distrust.” AHD was my first album with Epitaph Records which had the biggest promotional campaign of my career. The weight of that moment was not lost on me, but this was also when CD sales were good enough to sustain an indie-musician’s life so I just kicked back to play video games while letting the industry do what the industry does. No, not really… I had an inkling that physical sales were not to be relied on so I geared up for the biggest tour schedule of my life. It all kicked off in Boston at a venue called The Middle East. I stopped responding at that point. The realization that AHD was already old to him due to it leaking online a month prior to the release show sank deep into my ulcer gut. Here I was about to perform music from my newest album and it was already “old” to some of the fans who were eager for something new. Not just new, but NEW new. Suddenly I was in a new world I felt too old for. I can’t help but feel like this ultimately affected the way I approached my following albums. It took me longer than usual to complete “Human the Death Dance”… which came out two years later… which leaked online 4 months prior to its official release date… which just so happened to coincide with the great decline of physical sales in music… which unfortunately screwed up a lot of business relationships for me in the music biz. But, hey, this isn’t a sob story. This is a 10 year anniversary of my second solo album story. This is a YCKMMF story. “You can’t kill me, muthafuckaaa. You can’t kill me, muthafuckaaaaaaa. Limited to 100 individually numbered pieces! The last 4 designs in the SFR pin series sold out in under 36 hours each – get yours before they’re gone 4-eva! 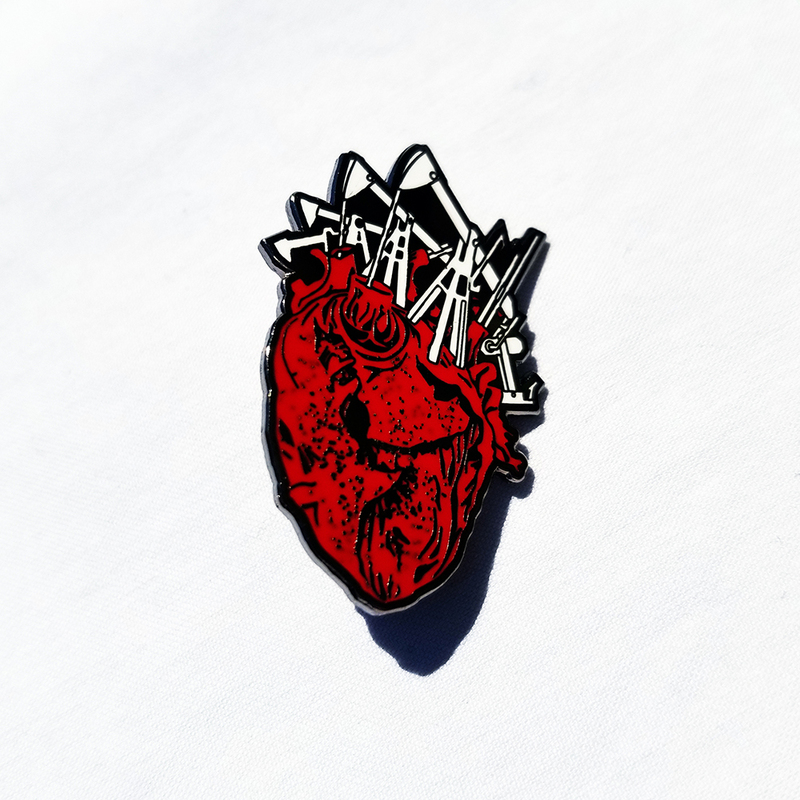 with Sage Francis “Heart” sleeve patch! 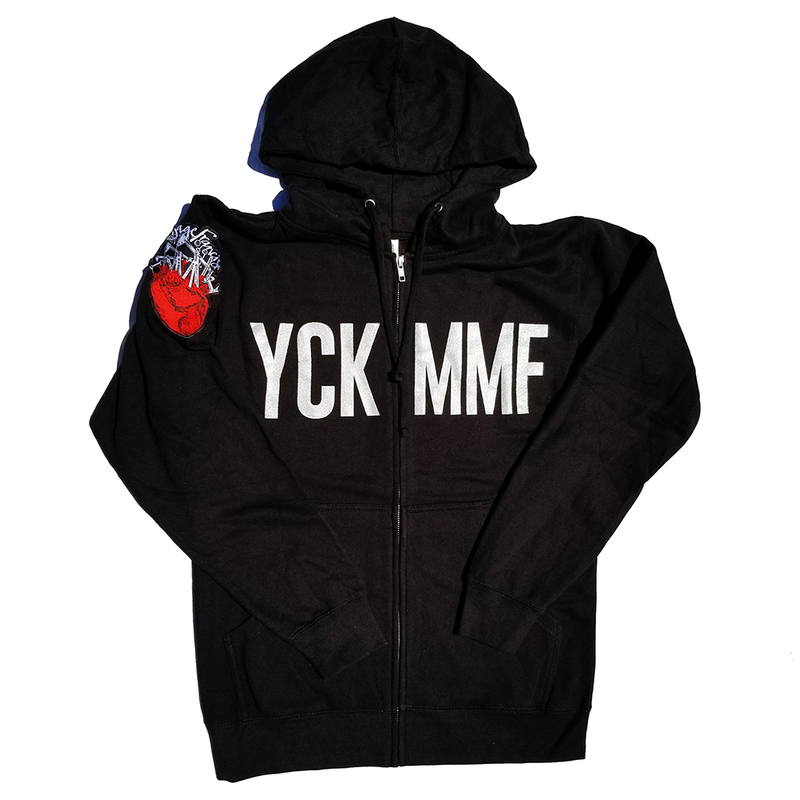 NEW “You Can’t Kill Me Mother Fucker” YCKMMF Snapbacks & FLEXFIT Fitted Hats! 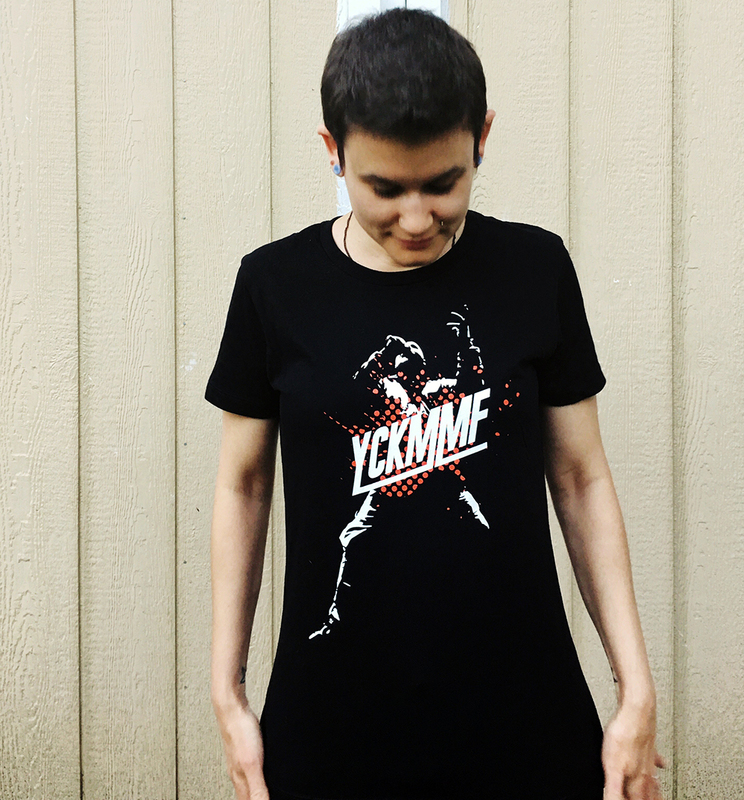 NEW “You Can’t Kill Me Mother Fucker” YCKMMF T-Shirts! Available in both Women’s & Men’s cuts. Check out a newly-restored, enhanced-picture version of the cameo-laden video for “GOT UP THIS MORNING”, the first single from “Human The Death Dance”! All available #HTDD10 merch can be viewed here, or click on the photos above. Love it!!! Shut up and take my money! But really, great merch! That's a bit heart wrenching to know that even "back in the day", leaking online was such a problem for artists. But this is a time for celebration, so I raise my glasses in good fashion for this occasion, good sir. I had no idea about this back story. The only behind the scenes stuff I remember is the Epic Dance Battle with the Epitaph Intern, which you soundly dominated. I'm eagerly looking forward to the next installment!